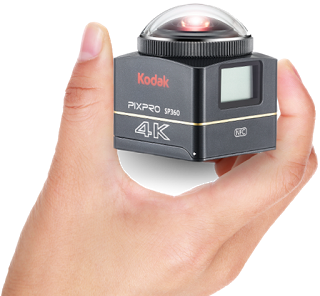 Kodak posted firmware updates for the SP360 and SP360 4k. For the SP360 4k, they’ve added HDMI output during 4K-recording. The HDMI output can be used to watch the video on an HDMI monitor, to record the output using an external HDMI recorder, or possibly to live stream. You can download the firmware updates here (click on the firmware tab). Thanks to Markr041 for spotting this! Add a 3D Firefly effect to Ricoh Theta Photos!